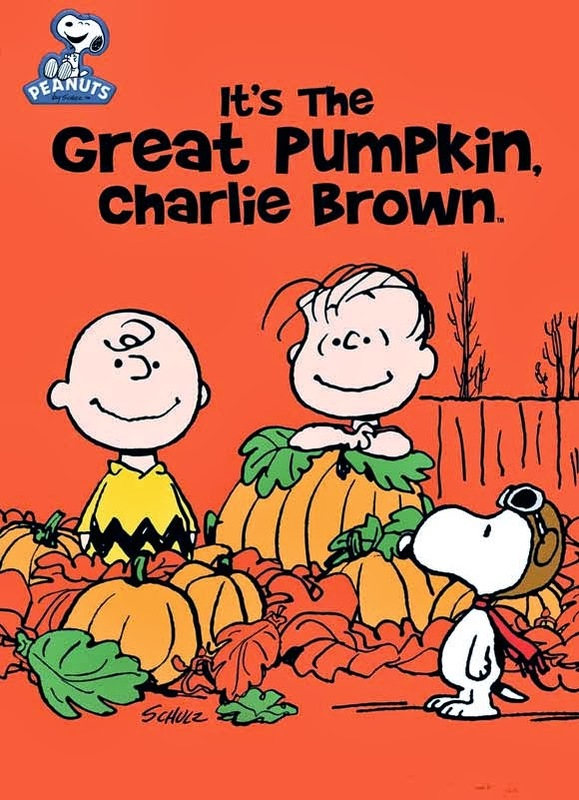 We watched this the other day and its been a long long time since I've seen it, I found myself remembering some parts but it was like I was watching something new. I liked this cartoon, it has a lot of memorable scenes that make it a great show and suitable for a Halloween tradition and should be watched every year. 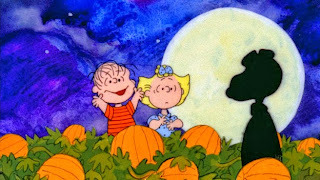 As the gang get ready for Halloween night, Sally and Linus prepare to spend the night in a pumpkin patch and wait for The Great Pumpkin. 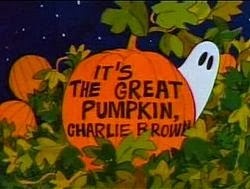 One of my favorite scenes in the show was when Snoopy took on the Red Baron. 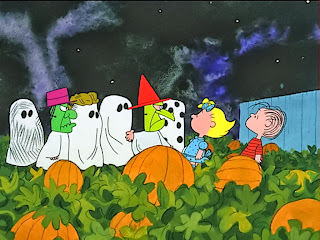 So I'll leave you with my last memorable scene and the hidden identity of the Great Pumpkin Himself. 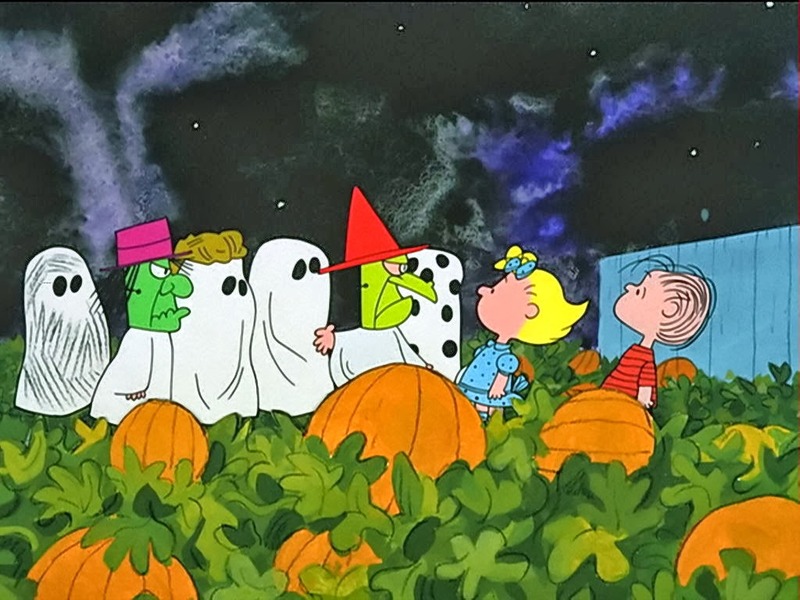 I loved it as a kid and watch it now with my kids. 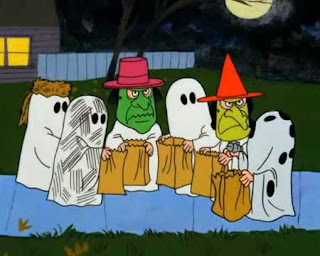 But one thing I don't understand is why the adults in town have such a hate-on for ol' Chuck. They have rocks ready for him!!! Why? I never thought of that, they do have it out for him huh.